Week after week we watch the best Professionals hit amazing tee shots, approaches, and hole-outs. How do they even practice for them? They can't! But they can certainly be well-prepared. You can be too, contact us: http://bit.ly/2uPvgrr Week after week we watch the best Professionals hit amazing tee shots, approaches, and hole-outs. How do they even practice for them? Next week is April, and we all know what that means. Yes, it’s time for The Masters, and the golf season is off and running. April 11th to 14th at Augusta is when one of the greatest shows on earth gets underway. Why not try something new this week? Most of you know that your position at address isn’t the same as your position at impact. But not so many amateur golfers can show us the correct impact position. We can help: http://bit.ly/2F1lEyk Most of you know that your position at address isn’t the same as your position at impact. But not so many amateur golfers can show us the correct impact position. Is there a golf shot you would like to learn how to play? The young guns are all over the major golf tours now. They’re lithe, strong, and can hit the golf ball a long, long way. But in recent weeks two of the older members of the PGA Tour have reminded us that to be at the top you need to be able to play all sorts of shots. What's your motivation to improve? Why do you want to play better golf? If you speak to fitness trainers many will tell you that a customer who says “I want to lose weight” is already a lost cause. It is insufficient motivation to stick with a fitness program. Golf is the same. For most of us, “I want to lower my handicap” is not actually a great motivator to stick with an improvement plan. Want to chat about your motivation for improvement? 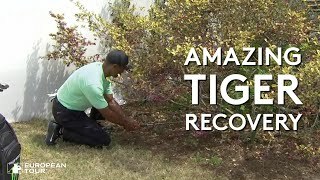 : http://bit.ly/2Ubht9K Why do you want to play better golf? Which would be more likely to motivate you? It is often said that the quickest way to lower your handicap or improve your scorecard is to improve your putting and then your short game. But I wonder if lowering your handicap is the biggest motivator for improvement? What do you think of the new USGA rules? The new rules have come in for some scrutiny in the professional tournaments around the world over the past couple of weeks. There’s clearly clarification on the rules required in some cases. I’ve been immersed in the Waterloo golf world for 45 years—spending 28 of them as the golf professional at South Hills—and without a doubt, this is the most excited I’ve been about what’s to come for golf in this city. Things are changing. Not the game and not the quality of the courses—but the overall experience. Start thinking about golf now. Not improvements you want to make to your swing, competitions you want to win or accomplishments and achievements you’d like to make. Think about how you can use golf to strengthen relationships and friendships. How it can add joy to your life. Plan to schedule a regular social game with friends. Every other week, when the spring and summer comes, get a group of friends together and play a social, fun competition. A social, pairs or scramble competition should be on every group of friends’ calendars: http://bit.ly/2SU41pP Start thinking about golf now. Not improvements you want to make to your swing, competitions you want to win or accomplishments and achievements you’d like to make. Amongst the resolutions people will have made for 2019, many will fall under the categories of “Health & well-being”; “Social engagement”; and “Time for yourself”. Guess what? Golf delivers on all of those. Some of you will be reading this from warmer climates. Get out. Walk. Play golf. It’s good for your whole well-being. Does golf exercise your mind? Do you want to be good or great? So, the big question for you is: how much do you want to play better golf? Are you sure about "why" you’d want to play better golf? Click here for more: http://bit.ly/2zATIPj So, the big question for you is: how much do you want to play better golf? Are you sure about "why" you’d want to play better golf? When we look at club choice, amateurs select a club for approach shots that, if they hit it perfectly, will get to the middle of the green. Try a round where you choose a club that should get to the very back of the green, and then see if you hit more greens. 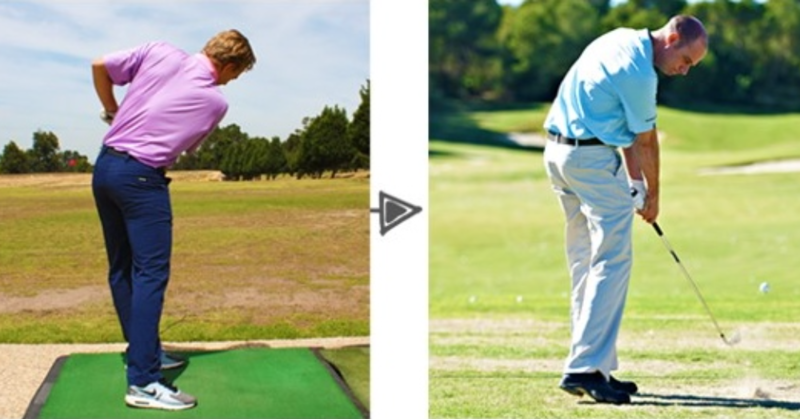 I’ve watched quite a few golfers playing mid-range pitch shots over the last weeks. There seems to be one of two techniques used by the majority to try and get the ball to stop quickly. Learning to play this shot well with the correct technique will make a big difference to your scorecard. 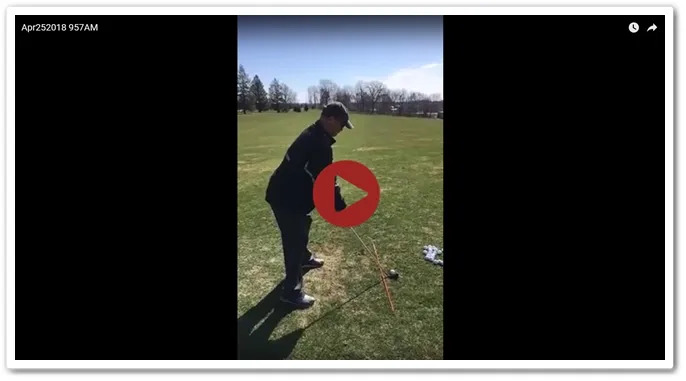 Contact us now: http://bit.ly/2SfZhej I’ve watched quite a few golfers playing mid-range pitch shots over the last weeks. There seems to be one of two techniques used by the majority to try and get the ball to stop quickly. One hop and stop. How does that sound? Get a team together and let's play some golf! For what it’s worth, we’d like to make the observation that team golf is a lot of fun. Despite the heat of battle at the Ryder Cup, it’s a very social event. Anyone want to give it a try? Let us know: http://bit.ly/2NodL8l For what it’s worth, we’d like to make the observation that team golf is a lot of fun. Despite the heat of battle at the Ryder Cup, it’s a very social event. Anyone want to give it a try? The Ryder Cup is here! It’s Ryder Cup week. What an event. What spectacle. In a suburb in the southwest of Paris, France the 42nd Ryder Cup Matches will take place on the Albatros Course of Le Golf National, Saint-Quentin-en-Yvelines. On a scale of zero to ten, each time you play, how important is your playing experience? By that I mean your experience hitting your shots? If you played better next week than you did the previous time out, would you be more or less likely to enjoy yourself more? Read more now: http://bit.ly/2CWcw0n On a scale of zero to ten, each time you play, how important is your playing experience? By that I mean your experience hitting your shots? Last chance to enjoy Date Night tonight! Date Night Golf @ South Hills is designed to be a non-competitive, FUN event for you and your partner. It is a great way to have fun with friends and meet new friends as the season goes on. Call 291-4268 to sign up today or e-mail us to sign up or with any questions, you may have. We want you to focus on how much pleasure there is, for the vast majority of regular and occasional golfers, in a golf shot that’s struck in the sweet spot. They say it’s the one great shot that brings you back again. Is the handicap helping or hindering the growth of golf? “The founders of this great game came from a generation where everything was a struggle; just for life. So why shouldn’t golf be a struggle as well? And to even out that struggle between competitors, a handicapping system was introduced." Brooks Koepka bags his third Major in 14 months and becomes only the 5th person to win the US Open and PGA Championship in the same year. To see how we can help you enjoy your golf more click here: http://bit.ly/2OFhf7x Brooks Koepka bags his third Major in 14 months and becomes only the 5th person to win the US Open and PGA Championship in the same year. Enjoy your summer evening with your date - tonight! Our South Hills High School Series starts today! Tonight's the night for Date Night! Grab your honey and head on over to South Hills for a date night! Date Night is back this Friday! Golf is a really great game and it��s more FUN when played out of the fairway. The Ping G was inspired by an approach called biomimicry, PING engineers analyzed the dragonfly’s intricate wing pattern to design ultra-thin crown sections for extreme CG and maximized MOI. Dragonfly Technology, Vortec Technology, turbulators and a strong T9S face created our longest, most forgiving driver ever. 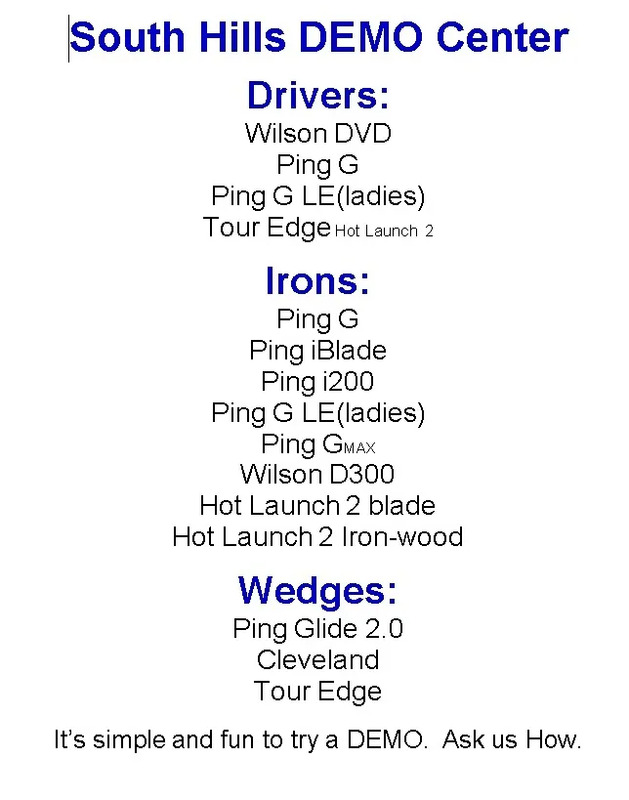 Available in three models to fit your preferred trajectory. Call 291-4268 to sign up for a fitting TODAY or stop out and take a Demo for a test run. 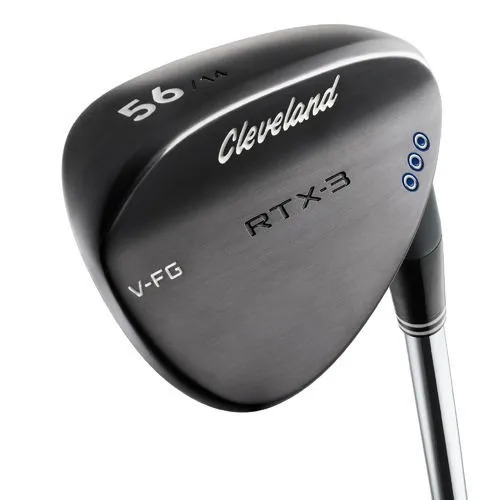 South Hills will be hosting a wedge fitting day with Cleveland Golf that will feature the brand new RTX-3 wedges. Cleveland has always been an industry leader and proven success through the PGA, LPGA, and European tours. The RTX-3 wedges feature three unique designs that are designed to create the most consistent wedge performance for your game. Three sole grinds that help with turf interaction for the course you play and the shots you want to hit. Rotex face that increases the spin rate and provides a more consistent reaction. And the option of choosing the color of your wedge from Tour Satin, Tour Raw, and Black Satin. 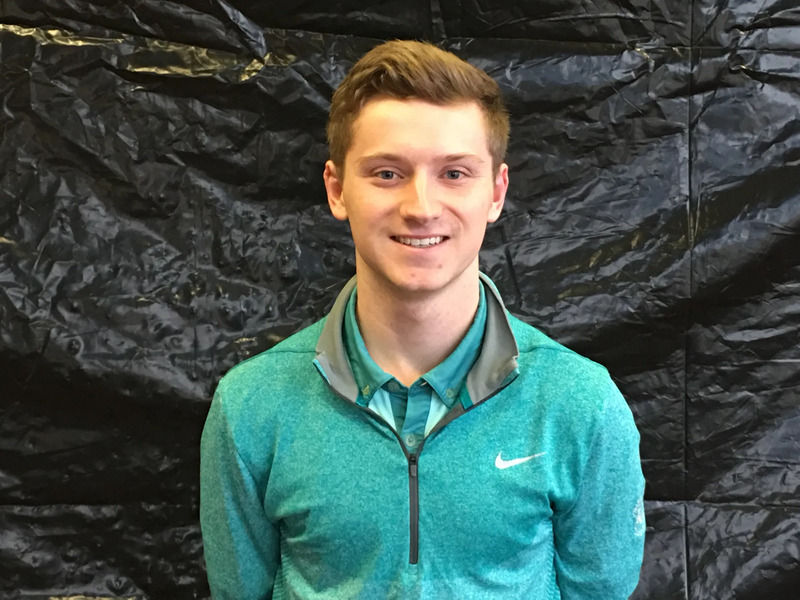 If you are looking for new wedges that can put you closer to the hole, provide better spin and feel, and ultimately shoot a lower score, call out to South Hills at 291-4268 and set up a time to get fitted. Half Price Carts on Sunday before 9 A.M. Looking For Something New This Year? PGA Junior League Golf is a fun, social and inclusive opportunity for boys and girls, ages 13 and under, to learn and enjoy the game of golf from PGA Professionals. Like many other recreational youth sports, participants wear numbered jerseys and play on teams with friends. South Hills Golf Course is looking for 8 to 13 year olds that want to have fun this Summer. We will hold practices starting in late April and will be playing 4 to 6 matches starting in June and concluding by July 31st. The cost for the program is $175.00. I will be returning to South Hills this year as assistant pro here at South Hills. I am excited to further my journey into my PGA program along with coming back to my home course and home town to bring the best possible golf experience you can have when you come to South Hills. I am excited for the year to start up (hopefully soon), and I am also excited for new projects, outings, and programs Monte and I will be involved in. I can't wait for the season to start and getting you to come out and play, better your game, and have a great time here at South Hills!